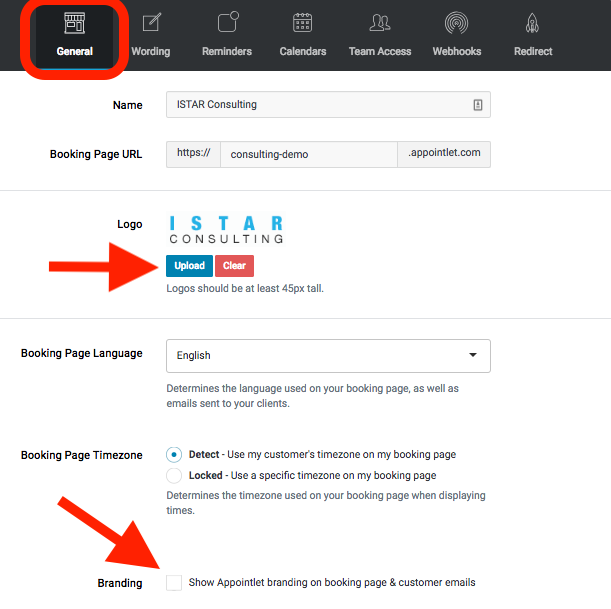 Looking for ways to further customize the look of your booking page? With this simple trick, you can add your logo and remove Appointlet's branding. 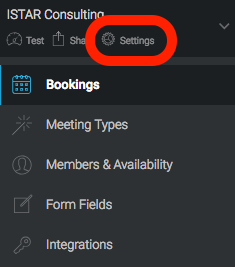 To get started, click the Settings icon in the upper left hand corner of the dashboard. The settings menu defaults to the General tab. Within this area, simply upload your own logo and deselect the checkbox at the bottom.